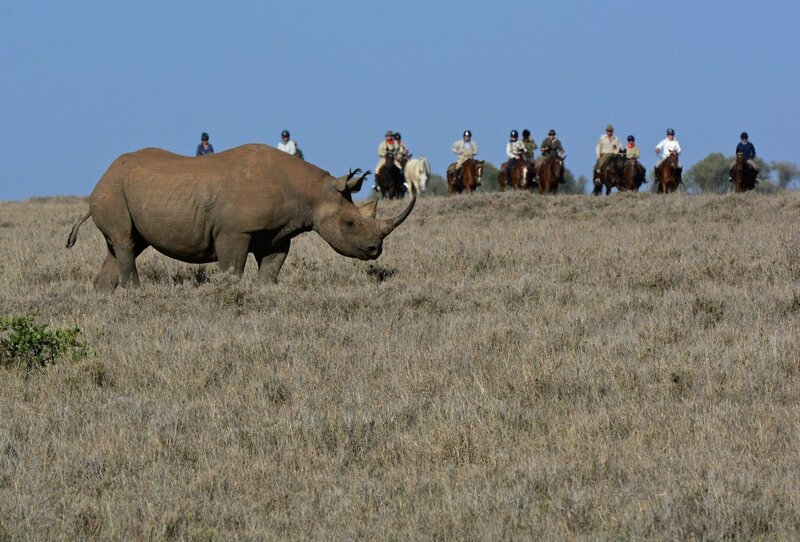 Includes– All the riding, bush walks & drives, meals, drinks & alcohol, flight transfers to and from Nairobi to the Mara. Conservancy & Flying Doctors Fee. Excludes – International Flights, tips. Dates – This ride can also be booked by private arrangement all year except April, May and November. International flight to Nairobi, where you are met and taken to Wilson airport for your internal flight out into the Mara. There is a charter flight in and out of camp from Wilson airport, which is the regional airport that serves internal flights. 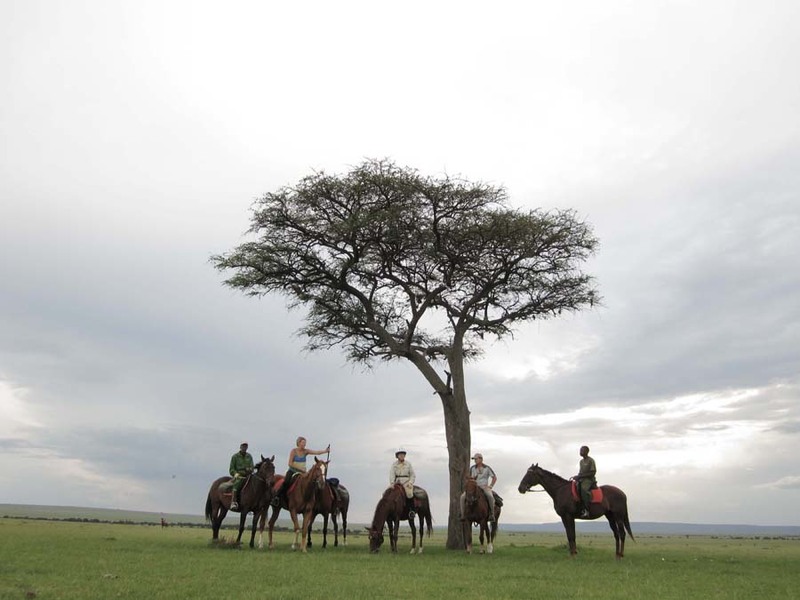 Gordie’s Masai Mara safari is recognised as one of the top riding safaris in Africa. 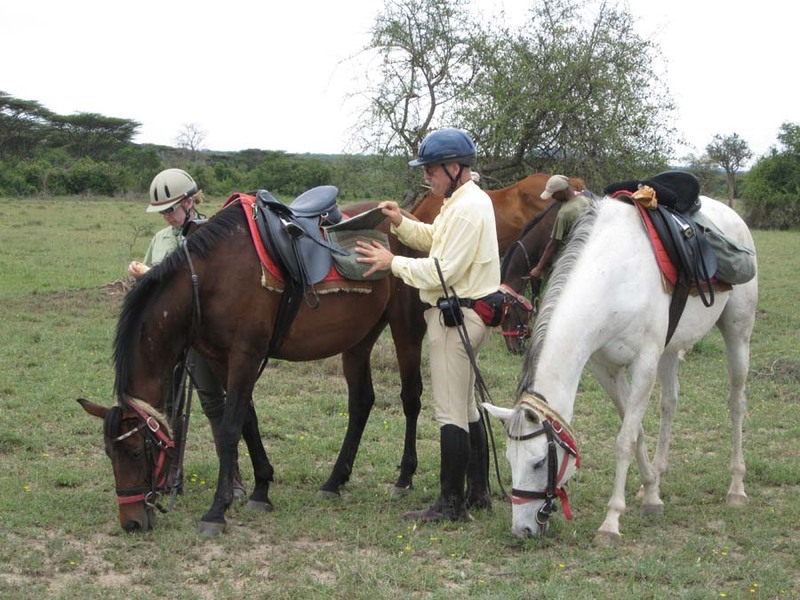 Gordie is a third generation Kenyan and grew up on safari with his father Tony Church who pioneered long distance riding safaris as far back as the 1970’s. 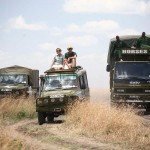 Gordie’s Masai Mara safari rides out over the ‘Masai Mara National Reserve’ and greater ‘Mara Conservancies’. 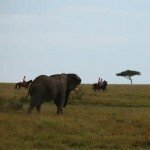 The landscape is one of rolling savannah, intersected by dark green veins of riverine woodland on the banks of the Mara and Talek rivers. 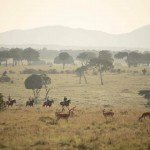 This wilderness is an extension of the Serengeti ecosystem and is considered by many to be Kenya’s best wildlife sanctuary, where animals can still be seen in vast numbers. 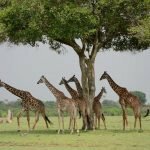 On a Gordie’s Masai Mara safari, carnivores, antelopes, primates and rodents are some of the mammal species to be found. 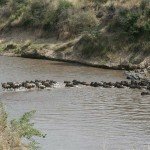 The annual migration of up to one million wildebeest is the most dramatic and considered to be one of the greatest wildlife spectacles in the world. Needless to say, on a Gordie’s Masai Mara Safari, both wildlife and bird viewing are phenomenal. 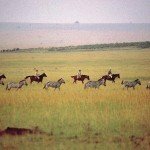 The Mara is also home to the colourful and handsome Masai people who, with their herds of livestock, are synonymous with this region. 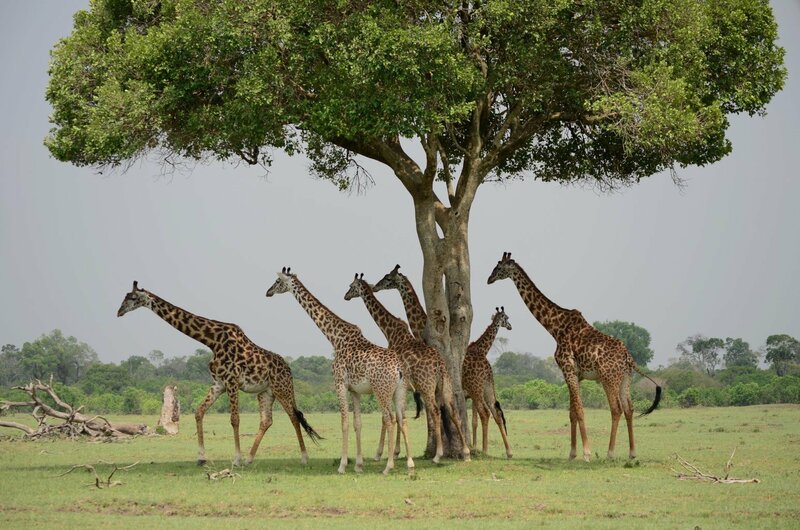 The wildlife here includes: elephant, hippo, crocodile, lion, leopard, cheetah, hyena, jackal, genet cat, serval cat, baboon, monkey, aardvark, zebra, warthog, bushbuck, eland, duiker, dikdik, reedbuck, gazelle, impala, topi, kongoni, wildebeest, giraffe, buffalo, waterbuck, galago and mongoose. 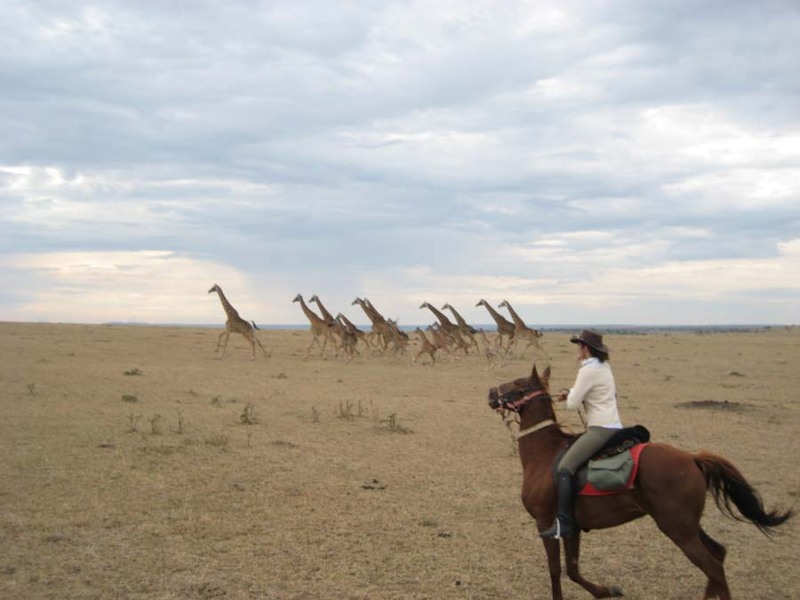 Gordie’s Masai Mara has been personally vetted by Zara and Jill (as have all our Horse Riding Holidays Kenya). 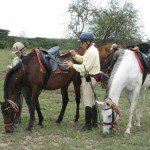 We do this to ensure that the quality of the horse riding, accommodation, food and scenery combine to provide only the best Horse Riding Holidays in Kenya for our clients. Horses – A good herd of well cared for horses. A mix of part bred Thoroughbreds and Somali Arabs. When they are not on safari, they are back home at Gordies ranch an hour outside Nairobi, chilling out. Level of Riding & Pace – Intermediate to Advanced riders – being fit is an added advantage as there are long days spent in the saddle. Tack – Mostly snaffle bridles, English GP and French Cavalry saddles. Weight Restriction – 90kg / 14 stone / 198lbs. Heavier weights will be considered with prior arrangement. 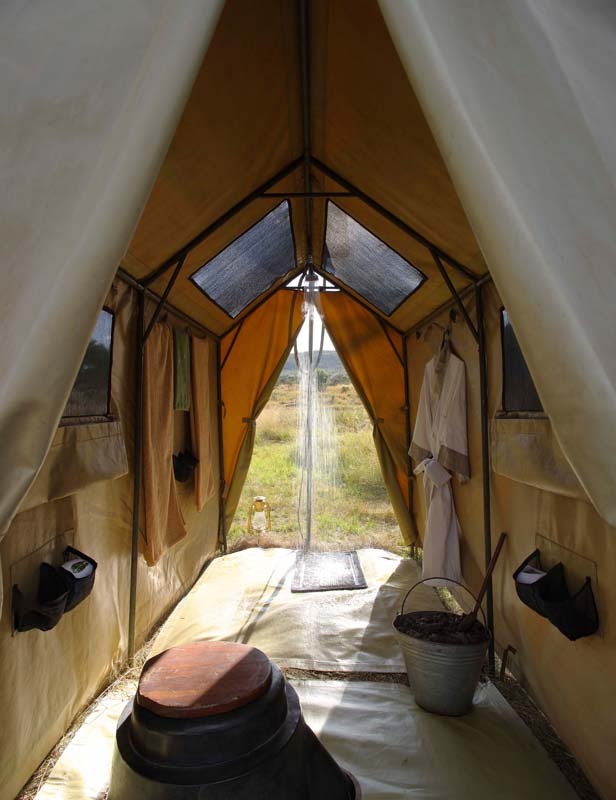 Gordie’s Masai Mara is a moving safari with luxurious tents. They are 10×12 feet with ensuite, good sized double or twin beds and furnished in a traditional 1920’s style. There are also 2 mess tents, one for dining and the other a bar. 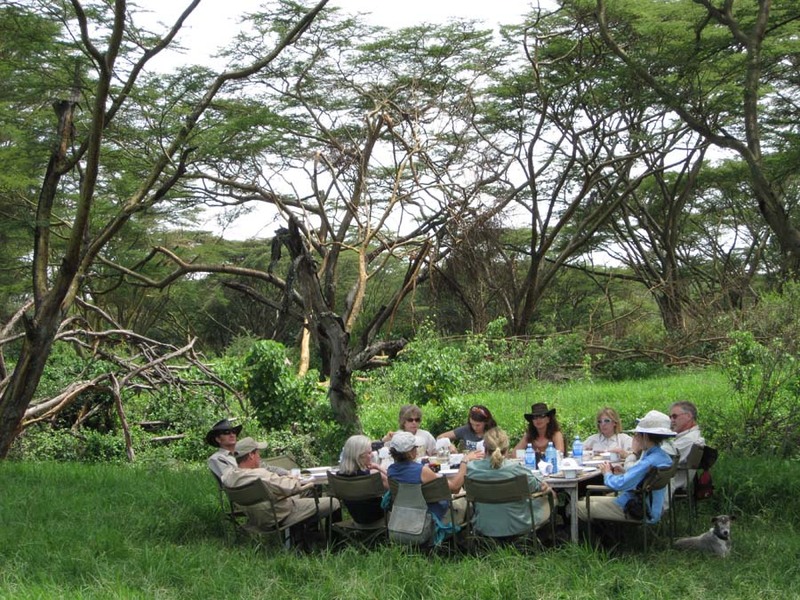 The food is very well regarded – Gordie’s Masai Mara safari chefs are regularly trained by an Italian chef. Expect full cooked breakfast, lots of fresh fruit and 3 course lunch and evening dinners. You can look forward to quiche and pizzas with salads at lunchtime if in camp or a packed lunch if out riding and evenings, you’ll enjoy fresh soups, roast lamb and steak, with crushed potatoes and fresh vegetables and chocolate pudding deserts. 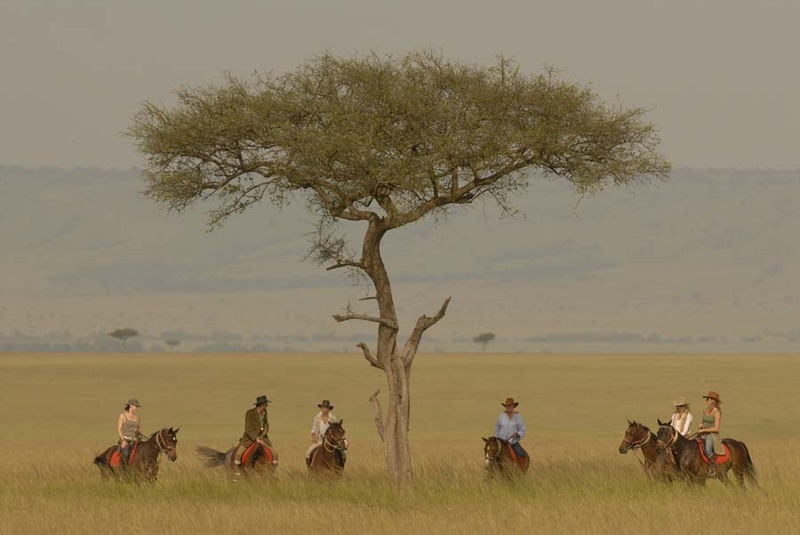 Horse Riding Holidays at Gordie’s Masai Mara are part of the Zara’s Planet Horse Riding Holidays Kenya collection. Tracking The Great Apes – The Albertine Rift is home to a variety of primates, but most noticeably the great apes – chimpanzee and the Mountain Gorilla. Tracking these near-human species in thick forest is an incredible experience. 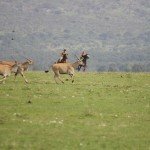 Bird Shooting – A few days or an entire safari can be dedicated to hunting a variety of fowl in the region. The emphasis is on a sporting experience where typically our bag limits are low, but the shooting is challenging and fun. Bird shooting seasons are February-March and July-October. Game birds available include: Guineafowl, Sandgrouse, Francolin, Spurfowl, Quail and Dove. Daily bag limit is twenty birds per gun. 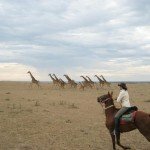 Walking Safaris – For those who enjoy solitude and adventure, a walking safari (sometimes assisted by porters and camels) comes highly recommended. 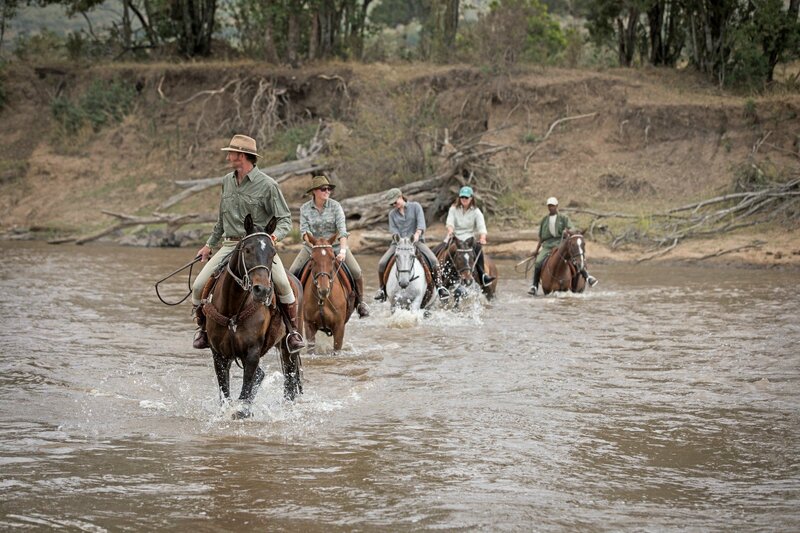 An intimate experience with nature and the thrill of being on foot in big-game country is difficult to beat. Fishing – The Giant Nile Perch is available on Lake Victoria, Rainbow Trout in the highlands and wonderful deep-sea fishing on the Indian Ocean. Ornithology – There are well over 1,000 different bird species in East Africa. For the keen ornithologist, there are several locations well worth visiting. The colours and characteristics of the avifauna are remarkable. Anthropology – East Africa is the root of mankind. There are several palaeo-anthropological sites to visit of particular interest. On request, either Drs Meave or Louise Leakey may join us to share their immense knowledge in this field. 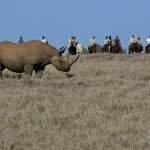 Others – Include: hot air ballooning, night game drives, mountain trekking, scuba diving, snorkeling, helicopter flying and sailing safaris. On arrival in Nairobi you will be met by a representative from Safaris Unlimited at Jomo Kenyatta International Airport and transferred to Wilson airport to catch the Airkenya scheduled flight departing at 12.15 p.m. and arriving at Siana airstrip at 1.00 p.m. You will be met and transferred to the private mobile tented camp situated in the Olare Lamun valley and find the camp set up near a stream used by the Masai to water their cattle, a favourite haunt for both lion and leopard. Over lunch in camp you will receive a full and comprehensive safety briefing. The afternoon is spent settling-in, followed by a ride to familiarise yourselves with the horses. Lunch and dinner in camp. Overnight: Private Mobile Tented Camp ~ Olare Lamun, Ol Kinyei Conservancy. 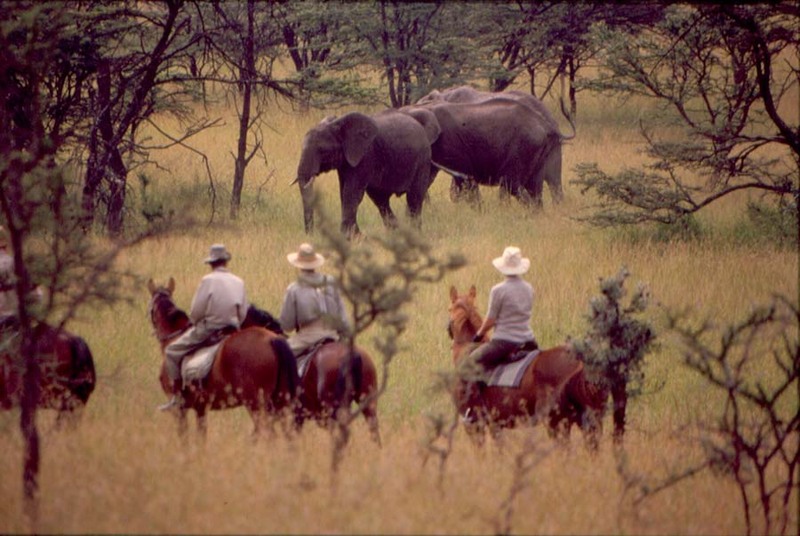 After an early breakfast saddle up and trek across the open savanna, interspersed with acacia, wait-a-bit brush and leleshwa (wild sage) woodland. Ride along the base of Oloiburmut hill, before returning to camp for lunch. This area is home to a number of Masai manyattas (villages). 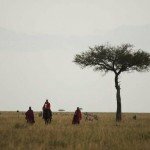 Throughout the safari you have several opportunities to learn about, and, most importantly, enjoy the company of the Masai - a tribe of semi-nomadic people to whom the land belongs. 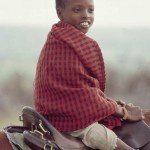 Those who are interested may visit a small and remote primary school for the Masai children and in the late afternoon you visit a nearby manyatta of the local Masai Chief. His company is a highlight of the stay here - a great friend of Gordie's, he loves to serenade guests with stories of Masai tradition and lore. All meals in camp. Overnight: Private Mobile Tented Camp ~ Olare Lamun, Ol Kinyei Conservancy. A pre-dawn wake-up call prepares you for a long ride over vast rolling plains skirting the southern end of the Bardamat hills. 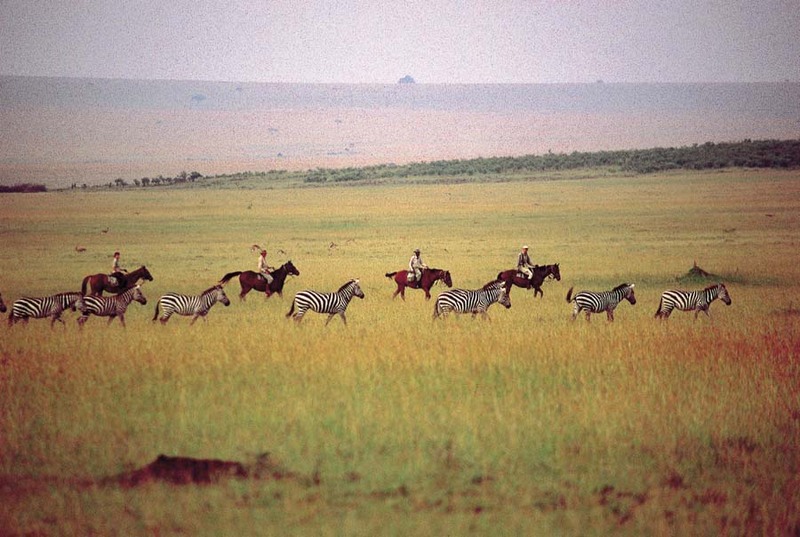 Canter across the Koiyaki plains to a picnic site on a small escarpment overlooking the Masai Mara National Reserve. 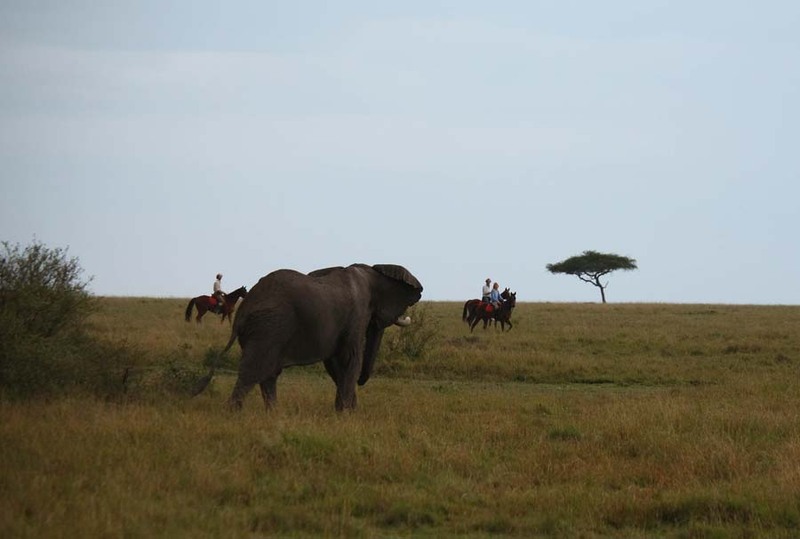 Now riding within the Mara-Serengeti ecosystem, the increase in the abundance of wildlife is immediately apparent. You reach camp located in a glade of riverine forest on the Olare Orok river. Breakfast and dinner in camp. Picnic lunch in the bush. Overnight: Private Mobile Tented Camp ~ Olare Orok, Mara North Conservancy. 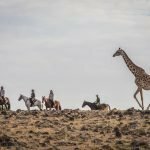 A morning of rest for the horses, you set off in the customised 4x4 safari vehicles to photograph the wildlife at close quarters. 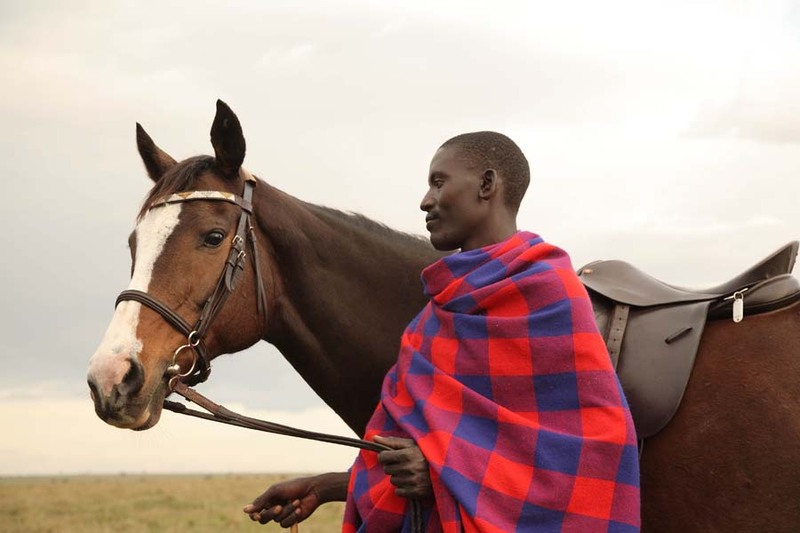 An afternoon ride or walk with the Masai morran (warriors) is also an option. Meal Plan: All meals in camp. Overnight: Private Mobile Tented Camp ~ Olare Orok, Mara North Conservancy. 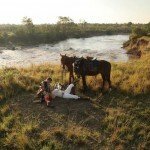 Ride in a northerly direction through a spectacular secret valley, and then gently wind your way along the southern bank of the Mara river, looking out for crocodiles and large pods of hippo. The riverine forest is home to a variety of tropical birds. 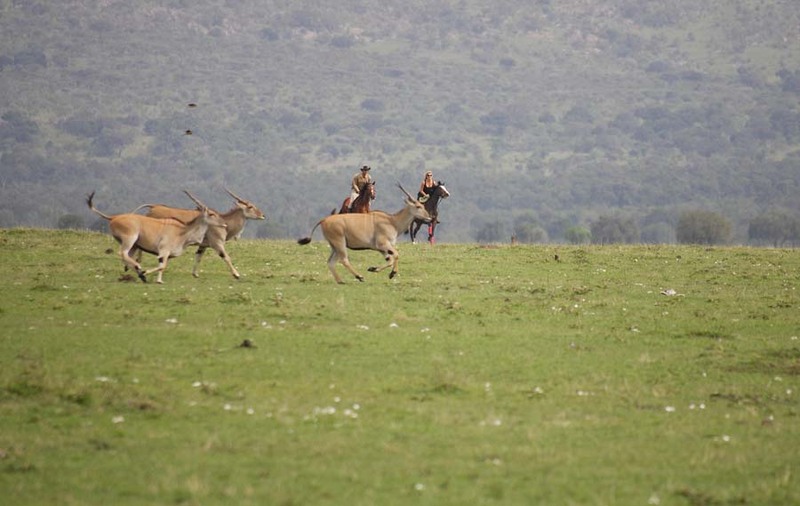 The concentration of game, especially during the wildebeest migration (July to October) is breathtaking. Meal Plan: Breakfast and dinner in camp. Picnic lunch in the bush. 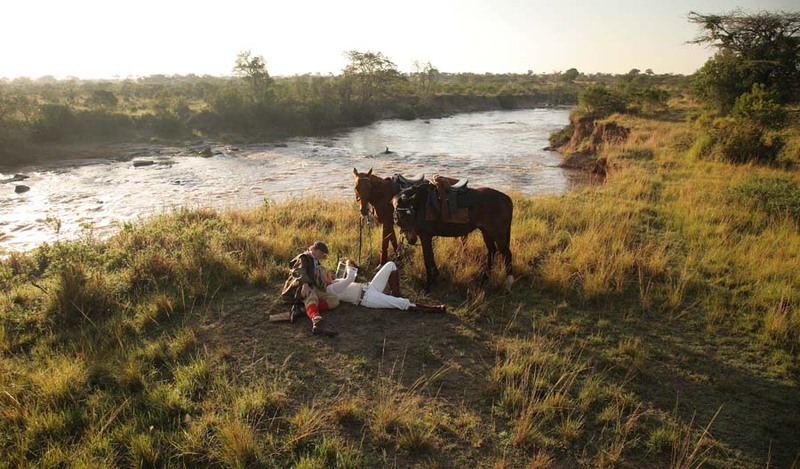 Overnight: Private Mobile Tented Camp ~ Mara River, Mara North Conservancy. 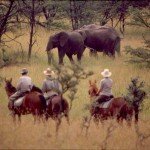 Explore by horse or vehicle to photograph the wildlife. 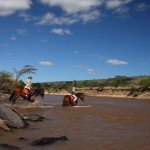 If water levels permit, you may cross the Mara river on horseback and ride underneath the spectacular Siria escarpment - a small wilderness area rarely visited. Meal Plan: All meals in camp. 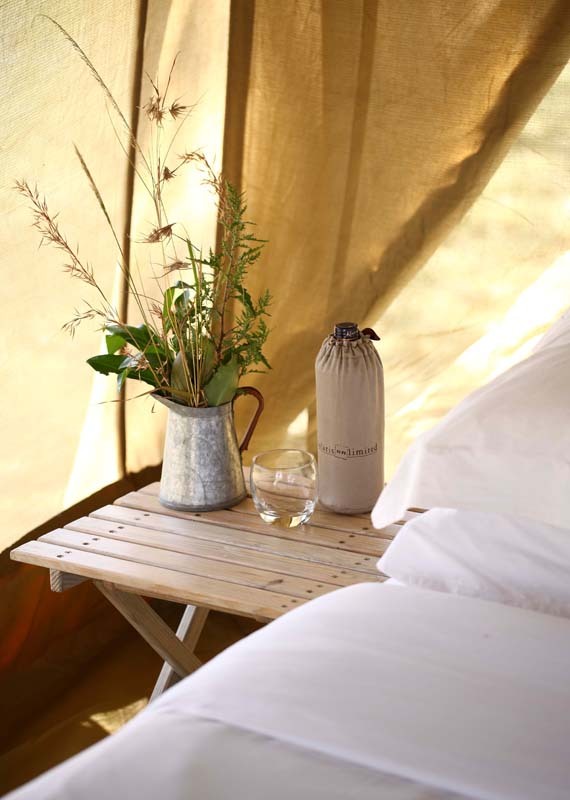 Overnight: Private Mobile Tented Camp ~ Mara River, Mara North Conservancy. After an early morning ride and a hearty brunch say goodbye to the horses and camp staff. Later transfer to Mara Shikar airstrip to catch the scheduled Airkenya flight departing for Nairobi at 4.15 p.m. Upon arrival in Nairobi at 5.45 p.m. you will be met and transferred to JKIA for your international flight home. Dinner en-route to the airport optional. Safaris Unlimited will meet you in Nairobi at the International airport and transfer you to Wilson domestic airport to catch the AirKenya scheduled flight departing at c.12.15 p.m. and arriving at Siana airstrip at c.1.00 p.m. You will be met and transferred to the private mobile tented camp arriving in time for a late lunch. During lunch you will have a full and comprehensive safety briefing. 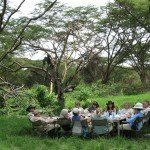 The camp is established beneath some giant yellow-fever acacia trees and is a popular roost for olive baboons and vervet monkeys. The afternoon is spent settling-in, followed by a short ride to familiarise yourselves with the horses. Meal Plan: Lunch and dinner in camp. Overnight: Private Mobile Tented Camp ~ Barkitabu, Masailand. 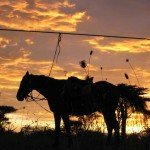 Morning and afternoon rides exploring the beautiful Loita Hills and surrounding country. 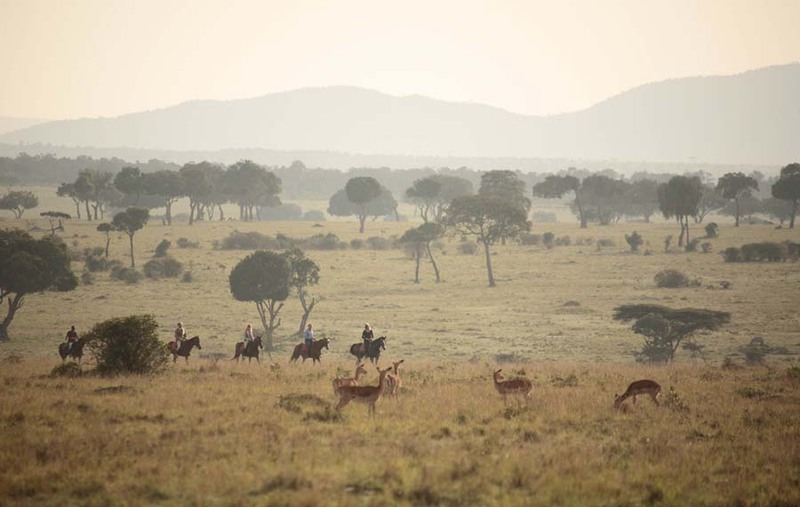 You will ride through acacia thickets and open plains in search of Burchell's zebra, East African eland, warthog, Cape buffalo, Grant's & Thomson's gazelle and Masai giraffe. There is also a beautiful variety of birdlife to enjoy, including the African Scops owl, superb starling, secretary bird and the white-backed vulture. Meal Plan: All meals in camp. Overnight: Private Mobile Tented Camp ~ Barkitabu, Masailand. 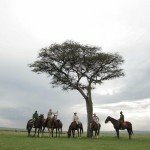 Your first full day in the saddle on your Gordie's Masai Mara safari, , riding across the Loita Plains, past Kaitapini Hill and on-to the Shangalara lugga (dry river bed) for a picnic lunch. 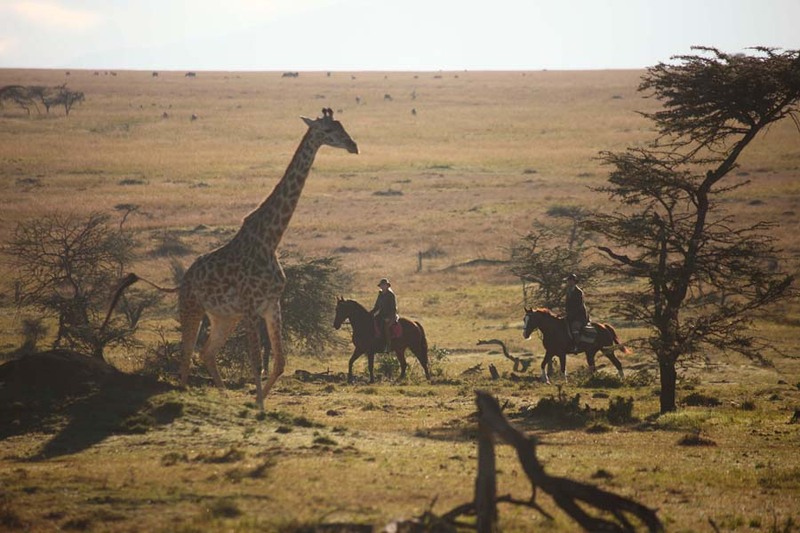 Enter the Olare Lamun valley and find your camp situated near a spring used by the Masai to water their cattle and which is also a favourite haunt for lion and leopard. 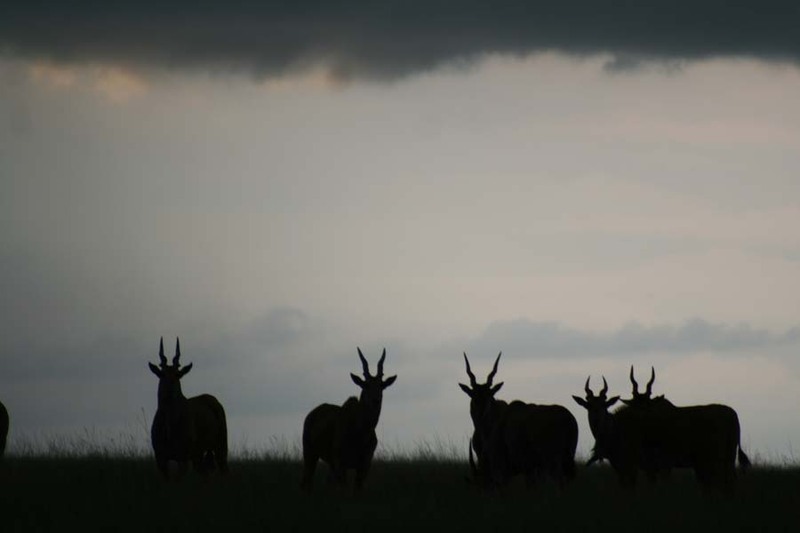 Herds of impala, white-bearded wildebeest, Coke's hartebeest and topi inhabit the neighbouring scrubland. Meal Plan: Breakfast and dinner in camp. Picnic lunch in the bush. Overnight: Private Mobile Tented Camp ~ Olare Lamun, Masailand. 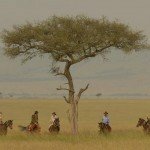 After an early breakfast saddle up and trek across the open savanna, interspersed with acacia, wait-a-bit brush and leleshwa (wild sage) woodland. You then ride along the base of Oloiburmut Hill, before returning to camp for lunch. There are a number of Masai manyattas (villages) in this area, so you will come into close contact with these fine semi-nomadic people. There will be several opportunities throughout the safari to learn about and enjoy the company of the Masai, to whom this land belongs. 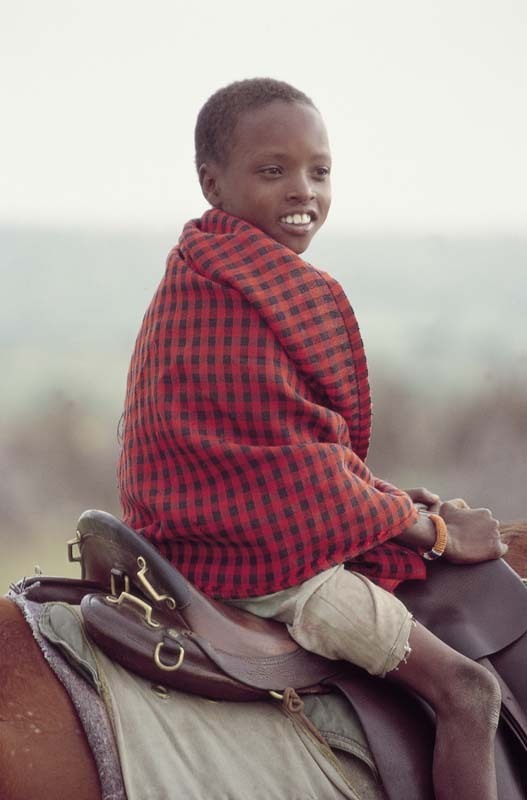 Those who are interested may visit a small and remote primary school for the Masai children, a moving encounter. In the late afternoon visit a nearby manyatta, a truly fascinating experience. A highlight of the stay is the constant company of the local Masai chief, a great friend of Gordon's who loves to serenade guests with stories of Masai tradition and lore. Meal Plan: All meals in camp. Overnight: Private Mobile Tented Camp ~ Olare Lamun, Masailand. 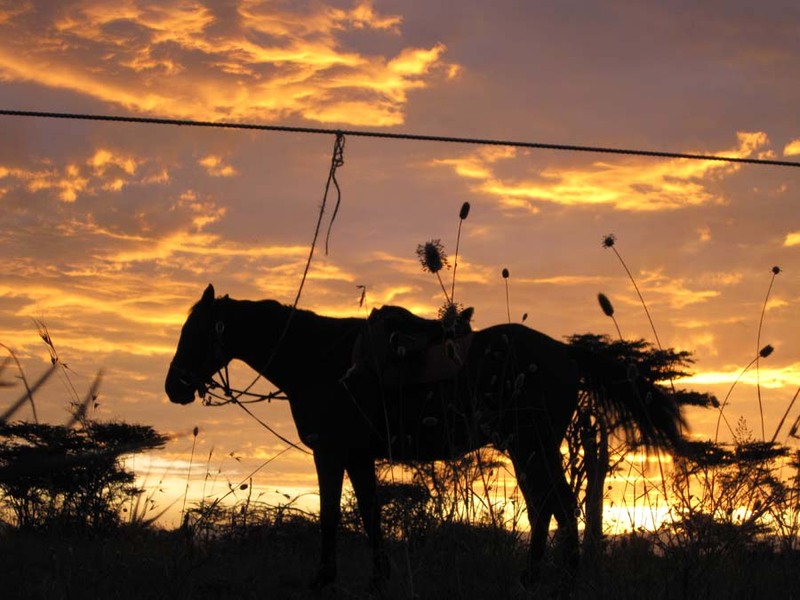 With a pre-dawn wake-up call, your long ride today takes you over vast rolling plains, skirting the southern end of the Bardamat Hills, out across the Koiyaki Plains and onto a picnic lunch on a small escarpment overlooking the Masai Mara Game Reserve. 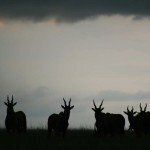 You are now within the Mara-Serengeti ecosystem and an increase in the abundance of wildlife is immediately evident. You reach camp set up in a glade of riverine forest of the Olare Orok. A large campfire and extra vigilant syces (grooms) keep watch at night making sure the predators stay at a safe distance! Meal Plan: Breakfast and dinner in camp. Picnic lunch in the bush. 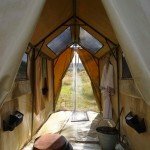 Overnight: Private Mobile Tented Camp ~ Olare Orok, Masai Mara. 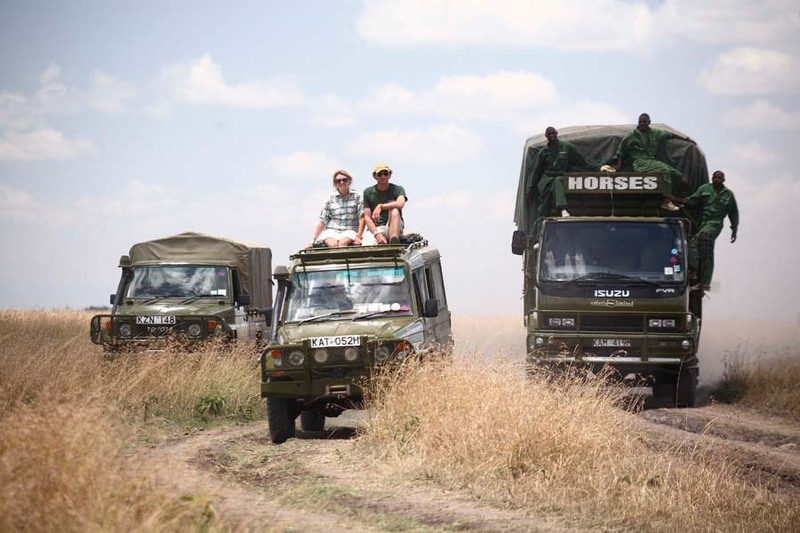 A day of rest for the horses, you set off in the customised 4x4 safari vehicles to photograph the wildlife at close quarters. 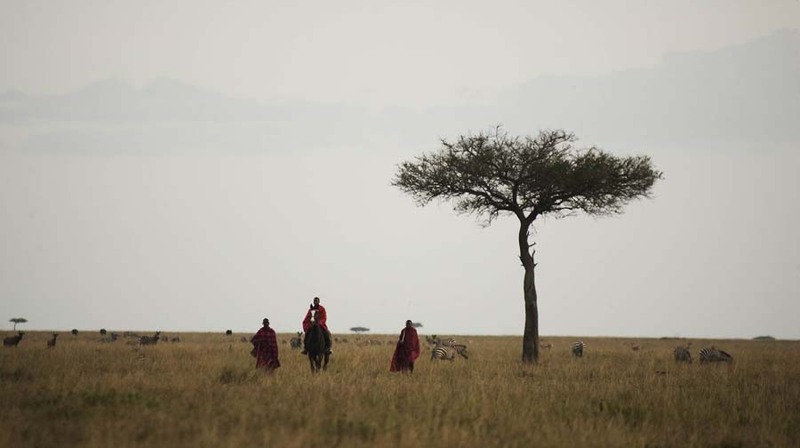 An afternoon walk with the Masai morran (warriors) is also an option. Meal Plan: All meals in camp. 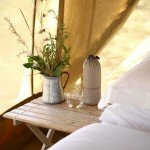 Overnight: Private Mobile Tented Camp ~ Olare Orok, Masai Mara. 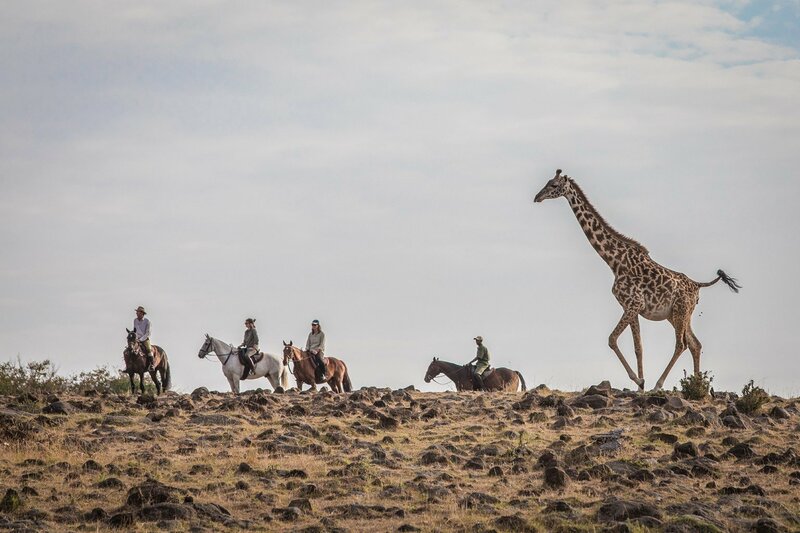 Today you ride in a northerly direction up a most spectacular secret valley and then 'bimble' along the south bank of the Mara River, inhabited by crocodile and some large pods of hippo. The riverine forest is home to a variety of tropical birds including the rare Ross's turaco. 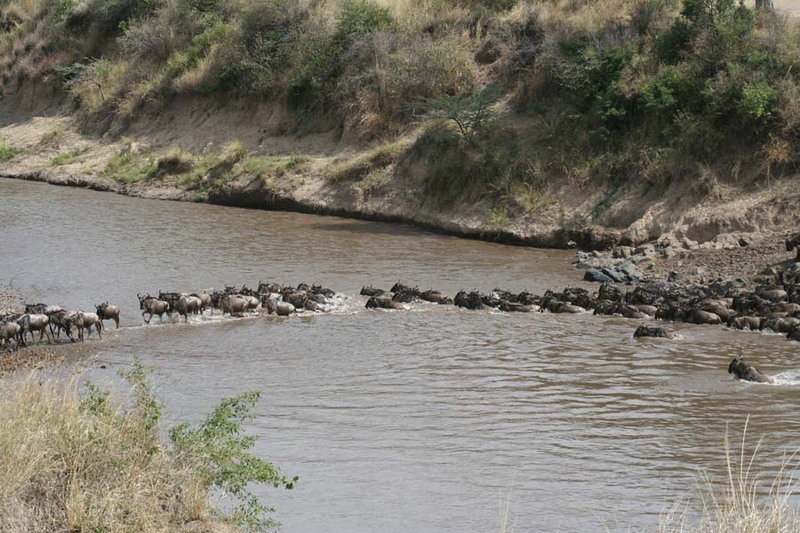 The concentration of game, especially during the wildebeest migration (July to October) is absolutely breathtaking. Arrive into camp in the middle of the afternoon. There may be time for a short game drive or walk after tea. Meal Plan: Breakfast and dinner in camp. Picnic lunch in the bush. 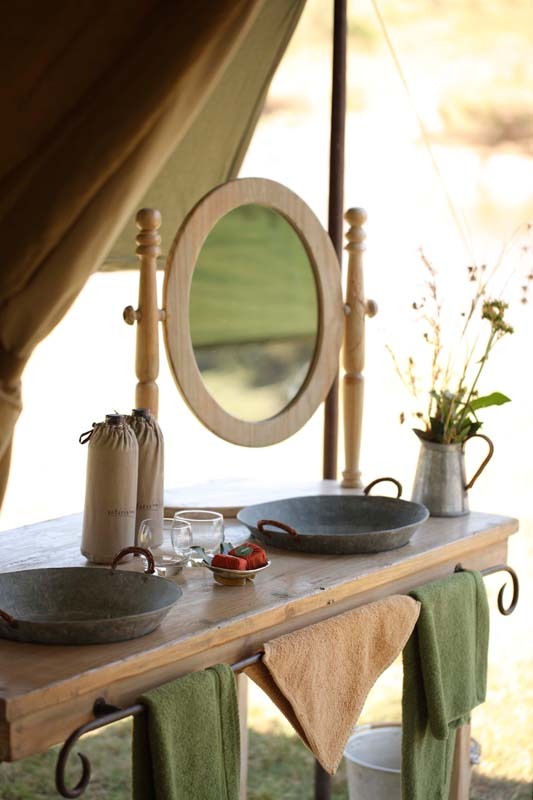 Overnight: Private Mobile Tented Camp ~ Kiboko Bend, Mara River, Masai Mara. 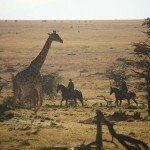 Explore the Masai Mara by horse or vehicle, to photograph wildlife including lion, leopard, silver-backed jackal, African wild dog, and possibly black rhino, some of which can be seen at close quarters. You can expect another sensational day amongst the game. 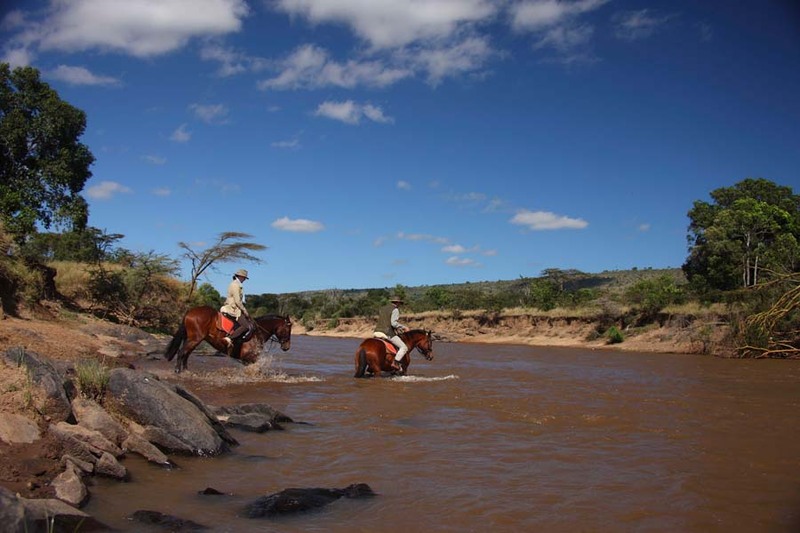 If water levels permit you may cross the Mara river on horseback and ride underneath the spectacular Siria Escarpment - a small wilderness area rarely visited. Meal Plan: All meals in camp. 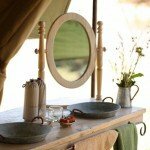 Overnight: Private Mobile Tented Camp ~ Kiboko Bend, Mara River, Masai Mara. After an early morning ride and a hearty brunch you say goodbye to the horses and camp staff. Then transfer to Mara Shikar airstrip to catch the scheduled AirKenya flight departing for Nairobi atc. 4.15 p.m. Upon arrival in Nairobi at c.5.45 p.m. you will be met and transferred to JKIA for your international flight home. Dinner en-route to the airport optional and payable locally. Meal Plan: Brunch in camp.